Being your own estate agent can save you £1000's in fees. When you consider estate agents charge 1.5% - 2.0% or more of the final agreed price for selling your property. Or put another way it's £1,800 - £2,400 for every £100,000 that your property sells for(inc.vat). 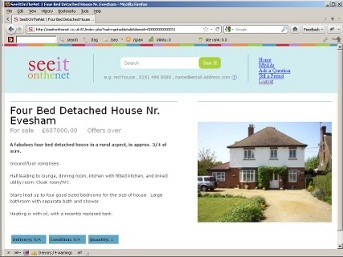 Think of it, the average UK property was valued at £232,628 in March 2011. And your friendly local estate agent will charge you £4,187 - £5,583 with VAT for a job you can easily do yourself. Its not a small amount of money to save and there's nothing complicated about the process of selling your own property. There are few reasons now to use estate agents. If you don't like the thought of face to face negotiations it can be done by phone or email; email being useful as it keeps a running recorde of your discussions. So what's stopping you from saving your hard earned money from going to an estate agent and spending it on your self ?